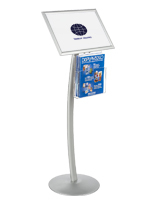 Snap Sign Stands | Up to 14" X 22"
17" x 11" or (2) 8-1/2" x 11"
Are you in search of snap sign stands for up to 14” x 22” graphics? 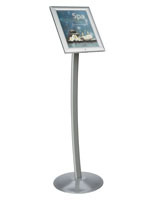 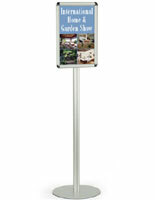 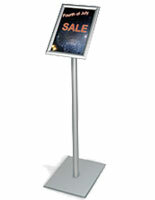 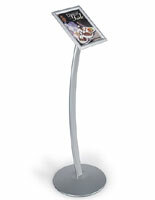 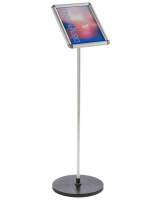 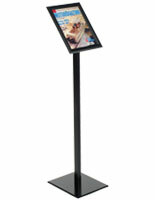 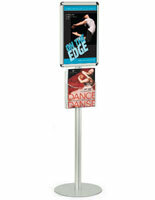 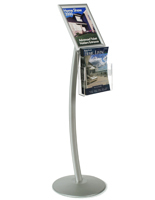 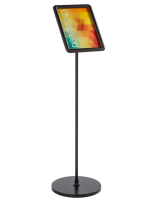 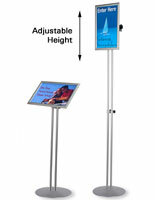 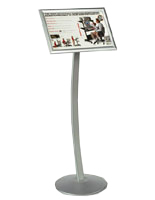 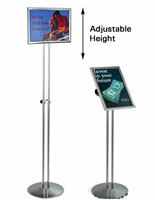 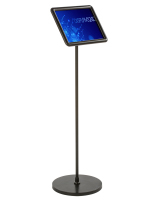 We offer a large line of floor standing holders with stable bases for use in high-traffic areas. 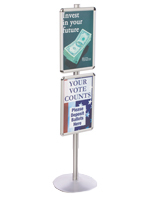 The silver and black snap sign stands come in a variety of styles to fit every retail, office or trade show need. 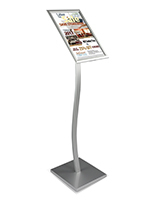 Choose from our huge selection of snap open and quick access stands that make changing or updating your signage fast and easy. 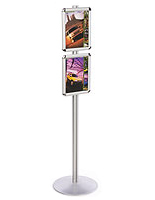 Display promotional materials, graphics, ads and other images up to 14” x 22” in any of these frames. 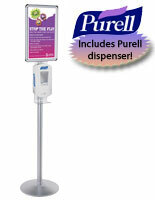 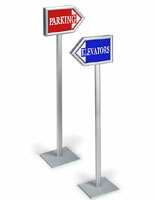 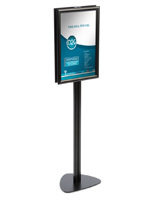 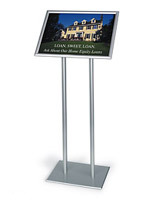 Outfit your gallery, museum, company entrances and lobbies or hotels with these sign displays. 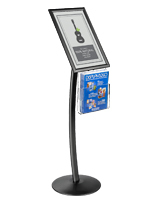 We carry certain models with pamphlet holders, attached hand sanitizer dispensers and multiple frames for dual unit graphics holders. 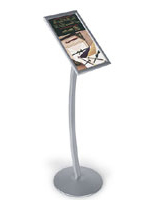 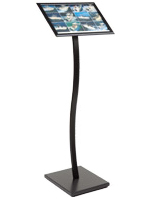 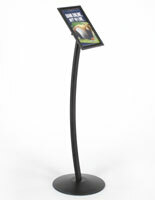 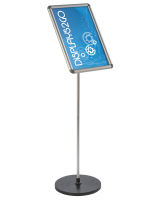 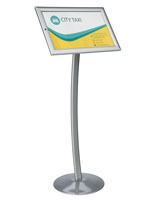 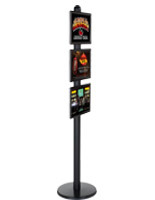 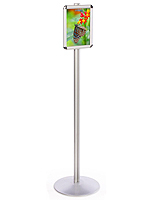 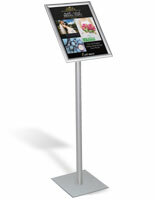 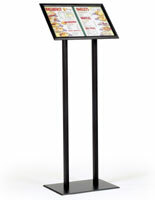 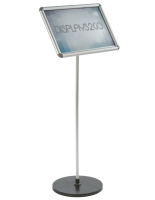 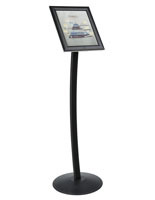 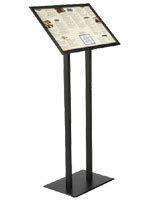 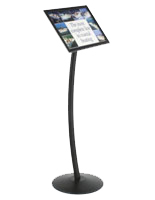 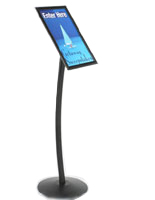 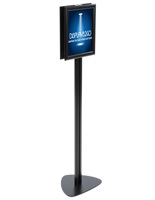 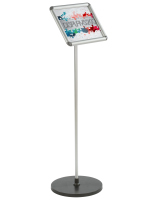 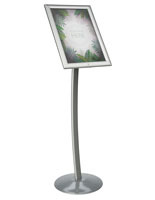 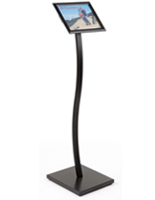 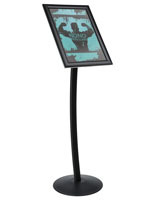 We carry snap sign stands that have frames in both vertical and horizontal orientation. 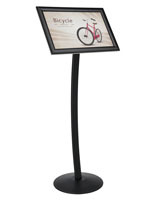 Choose from matte or satin finish models to best match your décor or theme. 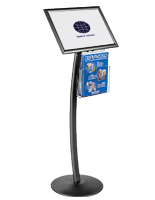 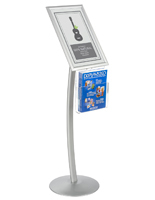 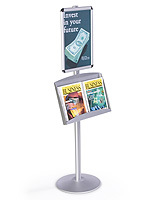 These stands are the perfect promotional tool even in high-traffic areas as they have weighted bases and are designed to draw maximum crowd attention. 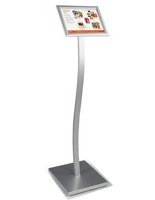 Crafted from aluminum, they are designed to last through years of use which reduce the need to replace them or worry about them breaking. 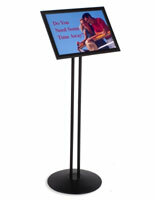 They are perfect for restaurants, trade shows, cafes, hotels, event venues, stores and lobbies. 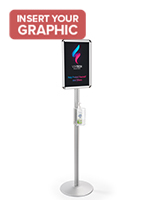 Order the units at wholesale prices to make the most of your valuable floor space while perfectly displaying any graphics, posters and images up to 14” x 22”.